This rhyme, sung to the tune of Frère Jacques, harks back to a golden age of bookselling in the early to mid-twentieth century Cambridge when the city was served by several excellent establishments, each with their own distinctive history and character. This book tells the story of just one; Heffers of Cambridge, founded by William Heffer in 1876. As a bookseller Heffers enjoyed that golden age. 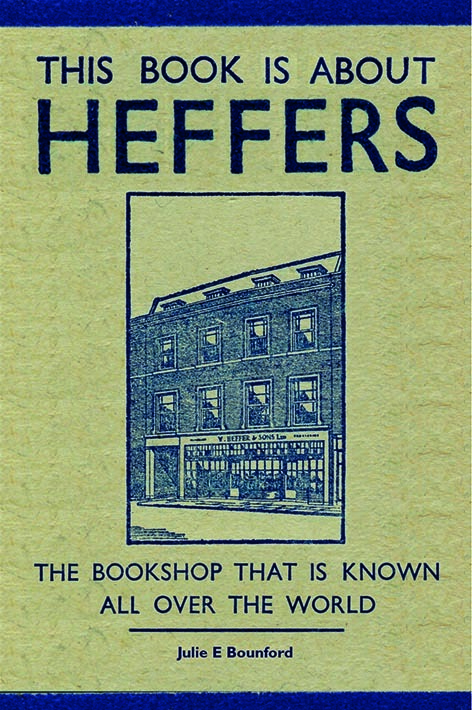 And as a bookseller Heffers was and still is, ‘known all over the world’. 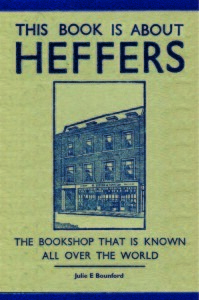 What may not be known worldwide, however, is that Heffers has always been a stationer and was once a prolific publisher and printer. In 1933 ‘Mr Ernest’ (son of William) wrote to The Times, challenging the notion of Heffers bookshop as a craft emporium. Sir, – It seems almost ungrateful to criticize such a delicious jeu d’esprit, and we would not do it, except for one reference you make to Oxford. You say that Heffer’s of Cambridge is a bookshop known even to Oxford men, and then go on to pack that bookshop with “little crafts.” Mentally one conjures up visions of wool and of pewter, of seagrass stools and barbola, and the like, on intimate terms with and indeed almost dominating all that is best, and a great deal that is less than best, in the whole realm of books. Now, Sir, Cambridge by experience knows better; but Oxford, knowing chiefly by repute, might be led to have a wrong conception of what our bookshop really is. May we beg of you to correct this possible misconception before it spreads too deep for correction? The Efferini Craftelli is carried on at our Sidney Street branch, whilst Heffer’s books is in the Cury: and come there who will, they shall find neither frills nor furbelows: they shall hunt without success for wool and the silk and the straw that delight the heart of woman. The only craft “worked” there is the craft of books. Whilst, arguably, the impressions held by Oxford men or what delights the heart of woman may not concern us, it is a fact that the ‘bookseller’ and ‘stationer’ trades are from the same stable. Chrimes, in his 2012 portrait of Cambridge, tells us that Cambridge University licensed sellers of books to work from ‘fixed stations’, initially in churches or outside their north and south walls. As one of the few stationary trades, the bookselling trade was considered superior to that of itinerant pedlars. The Latin word, ‘stationarius’ had been used to mean a trader with a fixed place of business, but booksellers secured this term for themselves. The ‘e’ in stationers was an eighteenth century derivation. Oldfield, on the other hand, in his 1944 article on Cambridge and its Stationers, insists the derivation rests rather on the metaphysical translations, ‘that which is established by custom’ … than the literal rendering of a ‘place of abode’ or ‘station’. In a similar fashion to E. W. Heffer’s eloquent retort, I aim to convey something of the style and character of the Cambridge phenomenon that is Heffers. The stories revealed in the forthcoming book, kindly shared by eighty past and present employees and customers, will testify to the many sides of the firm. ‘This books is about Heffers’ will be published on 1st November 2016.